Have You Thought of Your End of Life Insurance Needs? None of us wants to think about dying. However, it is important our mortality, and consider ways that we can prepare our families for the financial realities that come with our passing. If you want your dependents cared for when you pass on, life insurance is a must. This is what can help your survivors cover their living costs later, as well as provide estate planning advantages in certain circumstances. Whether or not your partner will have the ability to earn an income after you are gone. There is no one-size-fits-all solution to life insurance, so you need to make sure you carefully consider your options and do what works for you and your family. But this is definitely one of the most important things to consider when you think about your own death. There are some insurance policies designed to cover final expenses. 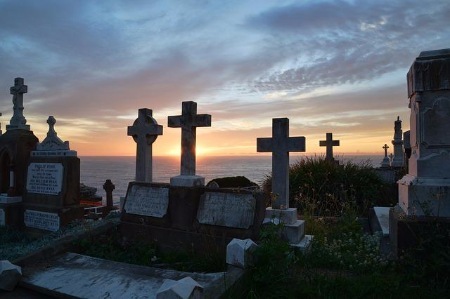 You can research prices for burial insurance, as well as other prices for final expenses. You might be surprised at how much final expenses can be. Depending on whether or not you are buried vs. cremated, and whether or not you hire a funeral home to manage all the services, there are a number of costs. In some cases, depending on how you want your body treated, final expenses can run into the tens of thousands of dollars. Your family might not be prepared for those expenses. An insurance policy can help out. However, before you buy such a policy, make sure it is appropriate for your needs and wishes. How will you be cared for just before you die? One of the things you need to consider, as you approach end of life expenses, is the actual end of life. There is a good chance that you will end up in a long term care facility at some point during your final years. The type of care you receive depends largely on your financial resources. In some cases, long term care insurance is appropriate. A few of my aging relatives have been covered by long term care policies, and the results have been favorable. It allowed them to live in comfortable surroundings, without the worry of burdening others. Additionally, some of these relatives had needs such that it wasn’t practical for family to act as caregivers. Think about the impact your aging will have on your ability to care for yourself, and the ability of others to care for you. If it makes sense for your finances, consider purchasing a long term care policy as part of your end of life insurance needs. Your insurance needs will depend on your individual goals and your financial situation. There are a number of possibilities out there, and you need to carefully consider what is practical and affordable for you and your family. Once you make that determination, you can begin shopping around to find policies that meet your insurance needs.